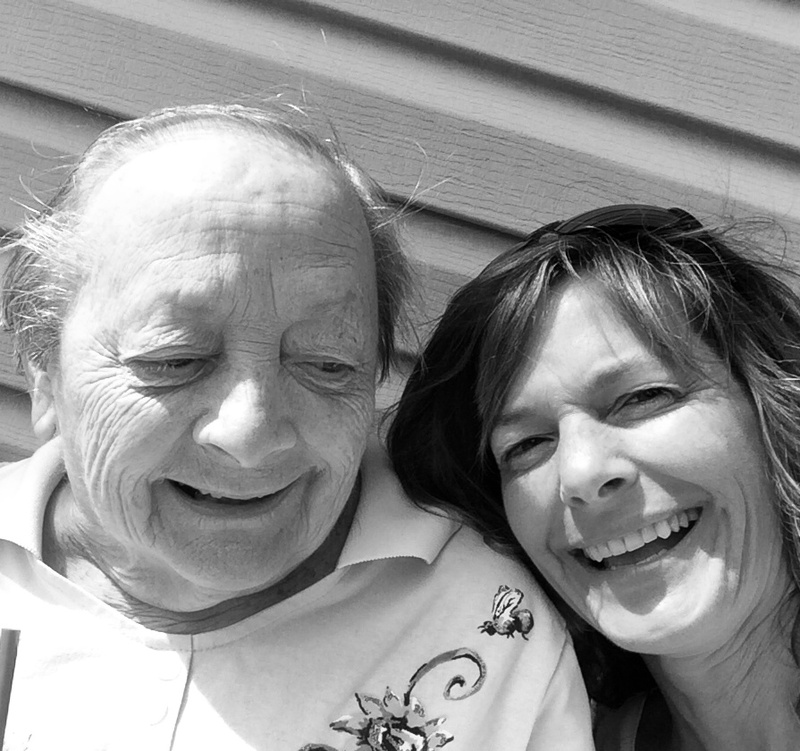 “Don’t let them put Mom in skilled care!” – Find You in the Sun – A daughter's slow waltz with her mother's dementia. Emails downloaded while my legs wobbled. I had just climbed a mountain – and descended one. A 14,000 ft. mountain, Mt. Kinabalu, in Kota Kinabalu. We returned to our hotel, and a spate of emails and texts dinged during our first brush back with the Internets and reality. The first email I read was from my sister, Beth. I had tasked her with overseeing Mom’s care. She was also the executor of my estate, should anything happen to me, in particular, while I would have been, say, climbing a mountain. Before leaving, I had snapped a photo of my office closet, where I kept family files, and sent the pictures to her. “Here is where Mom’s files are,” I wrote in one text caption. “These are my personal files.” I wrote for another. She laughed at the time. I did too, recalling how she had toted my purple folder with all my father’s medical information, the last time I traveled overseas to Ireland. My father had never recovered from a nasty winter tumble, and spent his June and July in and out of the hospital and rehab. Thus, when I had left for Ireland, he was out. While I was in Cliffs of Mohr, he had gone back in. The irony of me leaving again had not been lost on either of us. May 23, 11:07 p.m. Cincinnati time, May 24 11 a.m. Malaysia time was the date stamp. It was now six hours later than when Beth’s email was sent. I panicked and desperately wrote back, not knowing how far behind the time (or ahead of it) I was. I thought back to the mountain climb earlier that morning. I had been awake since 2 a.m., trudging up sheared rocks by 3 a.m., near to the peak at five a.m. I was whispering to the wind at that time, while also cussing at my daughter, Shannon, for getting us into this, and at my husband, who moved nimbly ahead of me, then would sit to wait. Move, then wait, instead of climbing lockstep with his beloved side by side. I quickly learned who was my parnter in the race to the sunrise. Beneath my scant breath had been a prayer to return to Mom. Sure, she was 87. But that didn’t mean I wouldn’t have wanted to spend any last days with her. It is a constant fear I have now. That I’ll miss her passing away from me, two travelers on opposite bound trains. I had been battling against wanting to flee back to the states, when I learned my sister was fighting another battle. What? No. They can’t. They can’t do that. Don’t let them. I was spewing words before even typing them. Didn’t they know, someone with dementia cannot just be moved around like pieces on a chessboard? I was baffled and aggravated by doctors and social workers who, employed by a hospital directly across the street from two long term care homes specializing in memory care, didn’t understand the consequences of moving Mom to rehab before returning her to her care home if it was unnecessary. The hospital was always willing to take in elderly patients, most likely to pay for their new wing, but not willing to expend the time, energy and money to train staff properly, on the challenges of transitioning someone with dementia. While sometimes, the decision to transition a patient to skilled nursing/rehab is logical, in particular when a physical disability, such a broken bone is in play, there is no excuse for social workers and doctors who deny the rights and wishes of not only the patient and family, but in this case, the staff from Mom’s care home. How brazen, how arrogant, how utterly ridiculous, to protect the hospital’s readmission rate, they simply shuffled patients like a deck of cards, and moved them to the next pile. A magical disappearing act. We should be way ahead of this curve by now, with all we know about dementia. Hospitals treating the elderly should have passed this curve years ago, and if not, then they shouldn’t be receiving reimbursements for Medicare. Families should take heed to fight like hell, enlist the help of the care home staff, to keep a loved one in their most recent environment after a hospital stay. My mom, I was told, was crabby at times, fending off PT. She had strangers telling her what to eat and when, peeking under her dressing gown. I would have been crabby too. Eventually, the hospital relented, but only after constant intervention by the staff at Mom’s care home. I was so grateful Beth had the strength to battle in the same vein I would have, with mettle and might. And I was grateful Arden Courts had lobbied on Mom’s behalf, for her to return where she was known and loved. I returned to the states safely. Mom returned to Arden Courts safely. Both of us on the same day, technically, depending on time zones. I committed to visiting Mom every day for a week, to gauge her recovery, to remind myself of what I had almost missed. Mom returned home on a Tuesday, and I found her Wednesday morning, sleepy, but smiling. I sat, and played a few Sinatra songs for her, her eyes opening and closing whenever the beat was too loud or when she knew the refrain. The resident supervisor came into the room and together we sat on Mom’s bed, got her to drink a little Gatorade and discussed Mom’s condition, and her new meds. The compassionate, wise staff of Mom’s care home were all in, why wasn’t the hospital? For each day onwards, caregivers continued to track me down, telling me how delighted they were to have Mom back, how relieved that she hadn’t been placed in skilled nursing care. I did research the new medication Mom had been prescribed, and discovered in some instances, the drug actually slowed down dementia or Alzheimer’s disease. She rose up, unsteady, then gradually fell into my arms. I held her for so long, this little woman of so much strength and resilience. She buried her face in my neck and patted my back, as if, as if we had been young again, both of us. Mom heard only what she wanted to hear. She was back.